Selling my daughter on homeownership. The head of the Mortgage Bankers Association spends his days cheering for homeownership, but his twenty-something daughter isn’t convinced. Read this interesting commentary from David H. Stevens, president and CEO of the Mortgage Bankers Association. At age 27, I made what I believe to be one of my greatest investments. It was 1984, and as a young man eager to start a life together with my fiancée, I decided to buy my first home. I purchased a three-bedroom rambler near Denver for $73,400 with a Federal Housing Administration (FHA) loan at 12.5 percent. Yes. 12.5 percent. Buying that home provided a foundation upon which my early career and life had the opportunity to grow, and looking back I’m convinced buying was the best decision I could have made. But today I cannot convince my daughter, who is also 27 and engaged to be married, that the time is right for her to buy a home of her own. Interest rates are still historically low, they live in Washington, DC, one of the best housing markets in the country, their combined income is north of $100,000, and a proud family member has offered to help with the down payment. Still, like others her age, she is hesitant to make the plunge. Historically, first-time homebuyers have represented around 40 percent of the market. Today that number stands just under 30 percent, with recent trends suggesting that it will continue to fall, according to the Federal Reserve. This downward trajectory presents a serious problem — a problem that, if not adequately addressed, will almost certainly engender serious consequences for the housing market as a whole. We cannot underestimate the impact of this decline in first-time buyers; the health of the housing market relies heavily on them. Without them, it will unequivocally become more difficult for existing homeowners to sell their homes or trade up to larger ones. Their absence would likely drive the housing market down a road to stagnation, and ultimately hinder the economy at large. But why is it that, with market conditions more favorable than they have been in years, this younger generation, with its fair share of highly-educated, budding professionals, is sitting out of the home-buying market? One major problem is the defective framework and politics of Fannie Mae and Freddie Mac’s (GSEs) conservatorship, which has led to the imposition of new hurdles for first-time homebuyers and working families, such as loan-level price adjustments (LLPAs) and steep guarantee fees. LLPAs and guarantee fees imposed by the GSEs raise costs for consumers and disproportionately stymie those that lack funds for a large down payment, for example young professionals who are just entering the workforce and haven’t accumulated a lot of savings. Another significant factor is the unprecedented, hefty increase in the amount of student debt that our nation’s young adults are accumulating. As students pursue more degrees in hopes of gaining a competitive edge in a stiff job market, they are accruing larger, formidable sums of student debt. For many, the long-term burden of student-loan repayment handicaps their ability and willingness to purchase a home. So what can we, as an industry do to ease this pervasive, underlying hesitancy, and to help bring the American dream of homeownership back into reach for not only the millennials, but for generations to come? A solid first step would be to advance reforms at the GSEs, which touch six out every 10 mortgages. 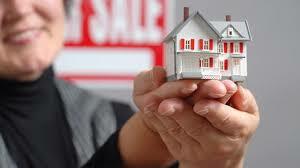 They can start by re-examining their LLPA policies that are increasing costs on many first-time homebuyers. The GSEs could also implement more upfront risk sharing, which would allow them to lower LLPAs and guarantee fees in exchange for mortgage insurance or other credit enhancement vehicles to take on a deeper share of the risk. Further, legislative efforts to advance GSE reform would bring more competition into the market, shrinking the outsized impact that the two existing GSEs have on pricing and lending policies. Also, because many first-time homebuyers get FHA loans, it is important to support their programs. One in particular is the Homeowners Armed with Knowledge (HAWK). Though not quite perfect, this housing-counseling program would provide first-time homebuyers who receive HUD-certified counseling with FHA mortgage insurance premium (MIP) reductions. Finally, we need to examine the impact of student loans on a person’s ability to purchase a home. Specifically we need to reconsider whether or not student loan debt should be considered within the confines of the Qualified Mortgage rule, 43 percent monthly debt-to-income ratio. Put simply, the ability to buy a home and to pay for your education should not be mutually exclusive. Whether it is our children or us, we all have a stake in a healthy entry-level housing market, and that should serve as our incentive to act quickly and deliberately. We all have plenty to gain in rectifying obvious impediments to first-time homebuyers. I am confident that these combined measures could augment the purchasing power of first-time buyers and working families, promote increased liquidity within the market, and stimulate forward progress in our housing recovery. Maybe then my daughter, Sara, along with aspiring homeowners all across the nation, will move forward confidently in their search for a first home that will become the foundation upon which they build their life. “Pocket Listings” Distort Housing Inventory. Can a property manager evict me if I am delinquent on late fees?